I attended my first concert, Harry Chapin, at age 3. This was on March 24, 1977 at Painters Mill Music Fair in Owings Mills, Maryland. 14 years later, at the same venue, I saw my first of some 35 Bob Dylan concerts. I was a big concertgoer who wore earplugs only sporadically. I had a great deal of additional noise exposure in an office where my colleagues and I were subjected to routine fire alarm testing during working hours. And for several weeks, I sat near a squealing printer that ran continuously. In early 2007, I started feeling fullness in my left ear. Over the next nine months, it worsened. I experienced my first bout of fleeting tinnitus or SBUTT: sudden brief unilateral tapering tinnitus. An ENT told me aural fullness is a common symptom of temporomandibular joint disorder, or TMJ, so I visited my dentist, who made me a mouthguard. It made my symptoms worse. Two weeks later, I awoke to find ordinary sounds were painfully loud. The honk of a car horn was excruciating, as was the roar of a lawnmower. More debilitating than this knifelike pain from sound, however, was a constant burning pain in the ears that existed independent of sound. This symptom confounded the audiologist and ear doctors I saw. The loudness discomfort test I took at a prominent hospital indicated severe hyperacusis, but the audiologist there said she had never encountered a patient with constant ear pain. The institution’s inexperience with my symptoms unnerved me. Over the next two years–with time, quiet, and ear protection–I slowly improved. Then, two big noise insults in the same week proved catastrophic. At the dentist, with a dental drill whirring to my right, I felt something break in my right ear. A few days later, I was near the fire station when an air-raid siren blasted, loud enough to alert the whole town’s firefighters. From then on, my symptoms of noise trauma―aural fullness, tinnitus, hyperacusis, and burning pain―intensified. The trauma turned my right ear red and veiny, and it became sensitive to wind and cold. When my hair grows longer, I feel it on my right ear more acutely than on my left. So I now have a “good ear” and a “bad ear,” with similar symptoms that differ in severity. Worst of all, the right ear could no longer tolerate an earplug or being covered with a protective earmuff. I get severe pain from merely covering the ear. This symptom has mitigated slightly. I can now–more than 10 years post-injury–wear earmuffs for around 5 minutes on a good day and still not at all on a bad one. Sometimes I feel as though there’s a lit match inside my ear. A noise injury worsens readily. For hyperacusis sufferers such as myself, quiet makes the condition better; noise makes it worse. Among sufferers this is indisputable, but medical practitioners bizarrely treat quiet as harmful. Too often they think the patient’s chief concern is hearing loss, rather than an intolerable perception of sound. Two nonprofits currently researching noise-induced pain and pushing the field forward are Hyperacusis Research and Hearing Health Foundation. New discoveries, with scientific tools and techniques only recently available, show that noise is far more destructive than previously believed. I plan to donate my ears to the Temporal Bone Registry so that researchers will be able to examine them after my death to better understand hyperacusis, relieve it, and put an end to the misery endured by those like me. Ben Meltzer is from Baltimore and now lives with his wife in New York. A typical inner ear has two mobile windows: the oval and round window (RW). The flexible, membrane-covered RW allows fluid in the cochlea to move as the oval window vibrates in response to movement from the stapes bone during sound stimulation. Superior canal dehiscence (SCD), a pathological opening in the bony wall of the superior semicircular canal, forms a third window of the inner ear. This structural anomaly results in various auditory and vestibular symptoms. One common symptom is increased sensitivity to self-generated sounds or external vibrations, such as hearing one’s own pulse, neck and joint movement, and even eye movement. This hypersensitive hearing associated with SCD has been termed conductive hyperacusis. Recently, surgically stiffening the RW is emerging as a treatment for hyperacusis in patients with and without SCD. However, the postsurgical results are mixed: Some patients experience improvement while others complain of worsening symptoms and have asked to reverse the RW treatment. Although this “experimental” surgical treatment for hyperacusis is increasingly reported, its efficacy has not been studied scientifically. In the present study, we experimentally tested how RW reinforcement affects air-conduction sound transmission in the typical ear (that is, without a SCD). We measured the sound pressures in two cochlear fluid-filled cavities—the scala vestibuli (assigned the value “Psv”) and the scala tympani (“Pst”)—together with the stapes velocity in response to sound at the ear canal. We estimated hearing ability based on a formula for the “cochlear input drive” (Pdiff = Psv – Pst) before and after RW reinforcement in a human cadaveric ear. We found that RW reinforcement can affect the cochlear input drive in unexpected ways. At very low frequencies, below 200 Hz, it resulted in a reduced stapes motion but an increase in the cochlear input drive that would be consistent with improved hearing. At 200 to 1,000 Hz, the stapes motion and input drive both were slightly decreased. Above 1,000 Hz stiffening the RW had no effect. The results suggest that RW reinforcement has the potential to worsen low-frequency hyperacusis while causing some hearing loss in the mid-frequencies. Although this preliminary study shows that the RW treatment does not have much effect on air-conduction hearing, the effect on bone-conduction hearing is unknown and is one of our future areas for experimentation. A 2017 ERG scientist funded by Hyperacusis Research Ltd., Xiying Guan, Ph.D., is a postdoctoral fellow at Massachusetts Eye and Ear, Harvard Medical School, in Boston. Hearing Health Foundation (HHF) is pleased to present our Emerging Research Grants (ERG) awardees for the 2018 project cycle. 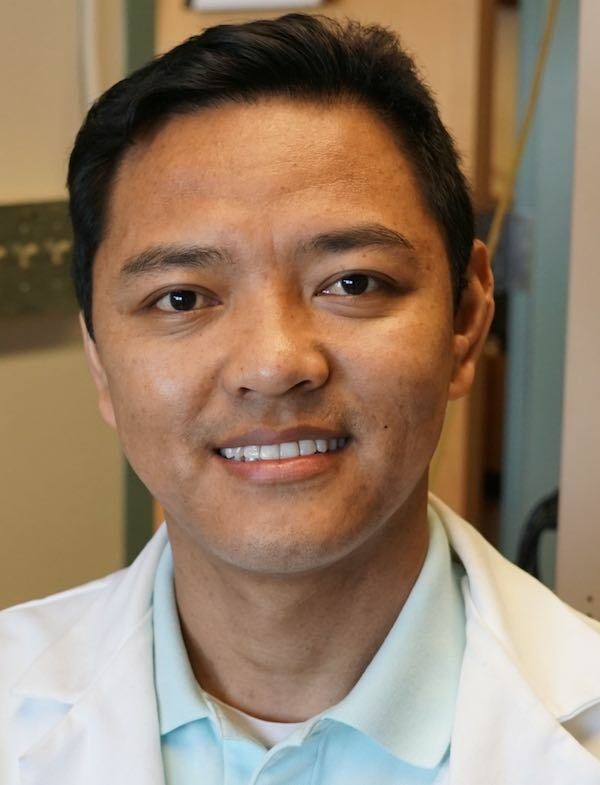 Grantee Tenzin Ngodup, Ph.D., will investigate neuronal activity in the ventral cochlear nucleus to help prevent and treat tinnitus. Our grantees’ research investigations seek to solve specific auditory and vestibular problems such as declines in complex sound processing in age-related hearing loss (presbycusis), ototoxicity caused by the life-saving chemotherapy drug cisplatin, and noise-induced hearing loss. HHF looks forward to the advancements that will come about from these promising scientific endeavors. The foundation owes many thanks to the General Grand Chapter Royal Arch Masons International, Cochlear, Hyperacusis Research, the Les Paul Foundation, and several generous, anonymous donors who have collectively empowered this important work. We are currently planning for our 2019 ERG grant cycle, for which applications will open September 1. Learn more about the application process. cardiovascular disease risk factors that may contribute to hearing loss. Hearing Health Foundation (HHF) Emerging Research Grants (ERG) grant funder Hyperacusis Research—a nonprofit dedicated to developing effective treatments for hyperacusis and to funding research that will eliminate the underlying mechanisms that cause hyperacusis—has a new reason to fight to cure the noise intolerance disorder. Cindy, 14 years old, has suffered from hyperacusis since she was blasted in the face with an airhorn one year ago. The blast almost immediately prompted “a burst of pain in [her] ear” that made it “feel like someone was stabbing [her].” Six months and several doctors’ visits later, an occupational therapist recognized her symptoms and diagnosed her with the disorder, which causes Cindy to experience pain at low levels of sound relative to what a person with typical hearing can withstand. Once a happy and social eighth-grader, Cindy now rarely leaves her home. Secluded from the painful sounds of the outside world, her house has become “her sanctuary,” her mother explains. Her intolerance of everyday noises like the school cafeteria and teachers’ voices has forced her to leave public school in exchange for an isolating homeschool experience. “The thing I hate most is that I can’t see friends,” Cindy shares. Cindy suffers from one of four hyperacusis subtypes called pain hyperacusis. The other three types, according to Hyperacusis Research, are loudness hyperacusis (which causes moderately intense sounds to be perceived as very loud), annoyance hyperacusis (which causes negative emotional reactions to sounds), and fear hyperacusis (which prompts an aversive response to sounds that causes anticipatory response and avoidance behavior). Specific medical treatments, at the moment, do not yet exist for pain hyperacusis. Those inspired to help Cindy can donate to Hyperacusis Research to advance the ontological knowledge of hyperacusis through research grants, including those awarded to HHF’s ERG investigators. Since 2015, Hyperacusis Research has generously funded grants for a total of five ERG investigators focused on hyperacusis at the University at Buffalo, Oregon Health and Science University, and Massachusetts Eye and Ear Infirmary. You can learn more about our ERG researchers’ efforts to better understand the mechanisms, causes, diagnosis, and treatments of hyperacusis and severe forms of loudness intolerance here.